iPhone 8 rumours refuse to stop even though the launch is still months away. Its design details, especially, are leaked regularly, sometime giving us contradictory information, and sometimes corroborating a strong rumour. Today’s leak does the latter. The ‘final schematics’ leak of the iPhone 8 shows the device from all angles giving us a fair idea of what the anniversary smartphone will possibly look like. Furthermore, the lesser leaked iPhone 7s Plus has also been tipped in a similar schematics leak giving away design information. The fresh leaks come from none other than tipster Benjamin Geskin, who has earned a reputation for leaking most of the iPhone 8 related information this year. Apart from the schematics, Geskin also notes that mass production for the iPhone models launching this year has started, and that there will be three models this year. He has leaked schematics of two iPhone models – and the third iPhone, presumably be called the iPhone 7s , has not been leaked. However, he notes that the schematics will be similar to its predecessor iPhone 7. 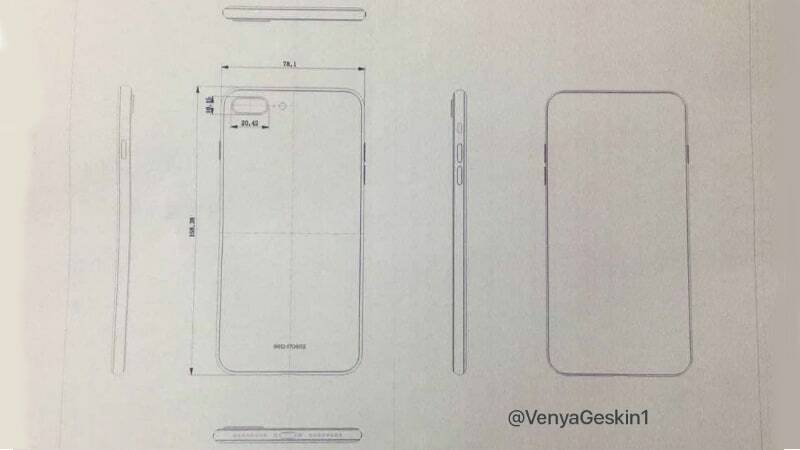 Starting with the iPhone 8 schematic and render, the back of the device matches previous leaks to show a vertical dual camera setup, an Apple logo, and no fingerprint scanner. The front sports a bezel-less display and there is no Home Button in the front indicating that the fingerprint sensor will be embedded underneath the display. The bottom edge has a Lightning connector, dual speaker grille, an elongated power key sit on the right edge, and the volume and mute switch sit on the left edge. The dimensions mentioned are at 143.4×70.77×7.51mm, which are slightly different from the previously reported 143.59×70.94×7.57mm. The iPhone 7s Plus retains most of the design elements from the predecessor, with a horizontal dual camera setup, and the dimensions are at 158.38×78.1mm. 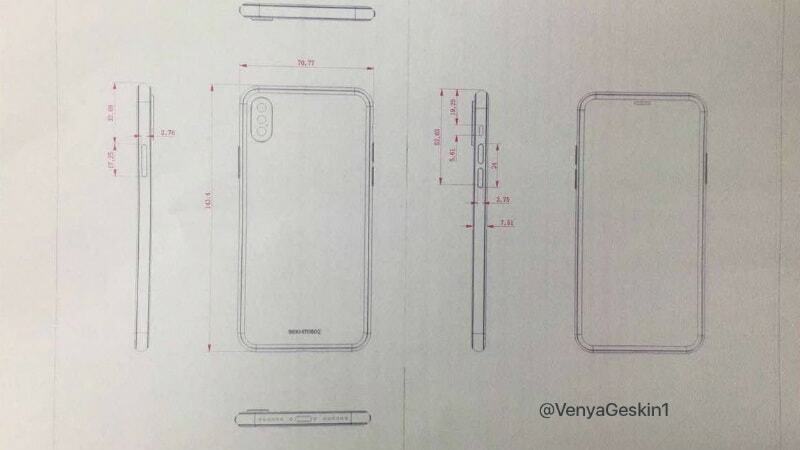 The front drawing is rather interesting, with no Home Button seen in the front, nor any bezel, but this is just a schematic drawing and the final product will presumably include both the elements. Geskin, in a separate tweet, also notes that the Calculator app in iOS 11 will see a revamp in design, very much inspired by the one seen on OS 1 and 2 back in the day. 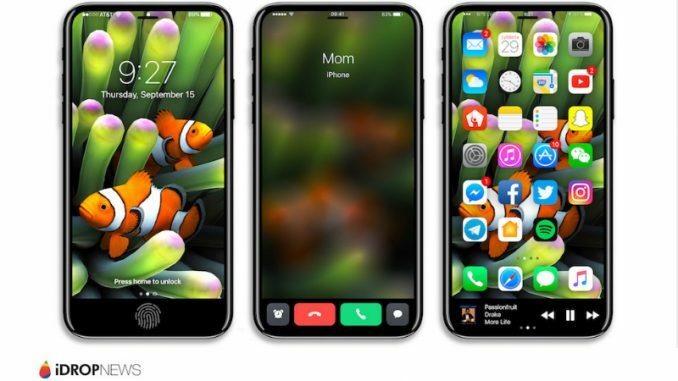 Despite several past reports of a delay, Geskin seems confident that the iPhone 8 will launch in September itself.